It's hard to find a good cobbler in London these days, this long established family firm are very good. I've been using them on and off for years. Prices are reasonable as well. 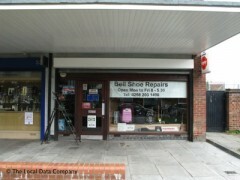 All my family have been using Bell Shoe repairs for a long time and the quality of repairing is really good and flexible time wise. If you need the shoes for the same day or next day, you just ask and they do it for you. I would definitely recommend to friends.